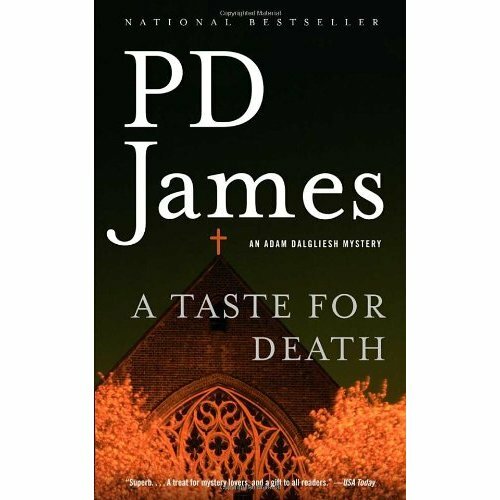 When the quiet Little Vestry of St. Matthew&apos;s Church becomes the blood-soaked scene of a double murder, Scotland Yard Commander Adam Dalgliesh faces an intriguing conundrum: How did an upper-crust Minister come to lie, slit throat to slit throat, next to a neighborhood derelict of the lowest order? Challenged with the investigation of a crime that appears to have endless motives, Dalgliesh explores the sinister web spun around a half-burnt diary and a violet-eyed widow who is pregnant and full of malice--all the while hoping to fill the gap of logic that joined these two disparate men in bright red death. . . .